Make a statement with this beautiful Honora pearl pendant! 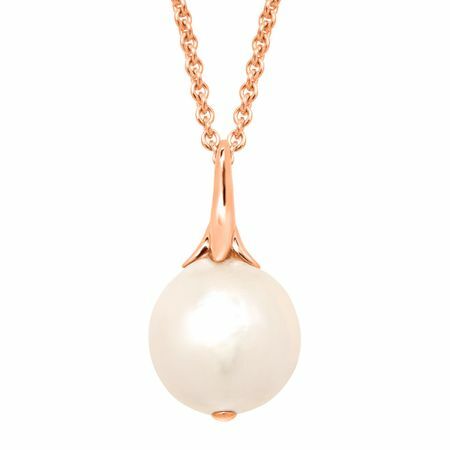 A lustrous 13.5-15 mm Ming freshwater pearl in a natural pastel shade is suspended from a 14K rose gold 18-inch rolo chain. Piece measures 1 by 1/2 inches. Comes with a 14K rose gold 18-inch rolo chain.